There is nothing quite like seeing wild dolphins and whales in their natural environment and our Dolphin and Whale watching experience certificates are some of the best interactive experiences to see these animals live. Aboard a select cruise and prepare for real-life sightings of these magnificent creatures from the sea. A great experience to add on to vacation away. Join in on the sailing or sit back and let us look after everything. We do the cooking, we serve the drinks, we ensure that everything is just right. 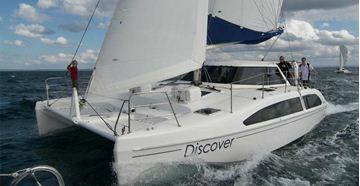 If you are an avid sailor or if you have never sailed before, you are sure to return once you have sampled your first perfect day on Discover Jervis Bay. Jervis Bay is on the South Coast 90 minutes south of Sydney CBD. 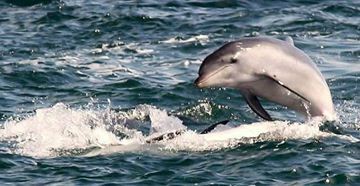 In this experience, you will have a unique opportunity to view the wild bottlenose dolphins of Port Phillip Bay. 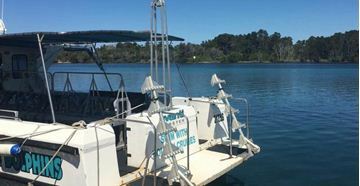 PACKAGE INCLUDES: - A sightseeing cruise where dolphins and seals will be visible - Morning or afternoon tea - Learn about the history of Port Phillip Bay, see the historic Point Nepean and the early Quarantine Station. There are only 15 spots on our planet where you can swim with wild dolphins. Enjoy this privilege during a 2 hour cruise plus swim.There are only 15 spots on our planet where you can swim with wild dolphins. Enjoy this privilege during a 2 hour cruise plus swim. We encounter three types of Dolphins on the cruises, the local resident Bottlenose Dolphins, Common Dolphins and Oceanic Bottlenose Dolphins. Cruises are always conducted in the morning as this is when the seas are usually calmest, and the dolphins at their playful best. This is the ultimate gift for any adrenaline junkie! 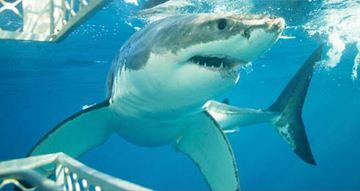 Let them get up close and personal with this once-in-a-lifetime encounter with Great White sharks! One of Mother Nature’s most successful predators, the Great White shark has fascinated both divers and scientists for years. 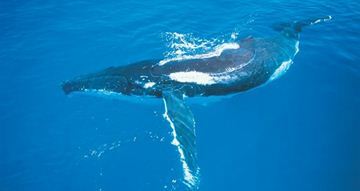 This is a unique opportunity for any adrenaline junkie to see these magnificent animals up close and personal in their famous hunting grounds of Port Lincoln. A fascinating 3 hour wildlife cruise that takes you into the Monkey Mia's marine life. 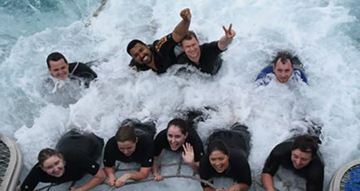 Enjoying the opportunity for viewing dolphins, turtles, sharks, stingrays, flying-fish and dugongs. 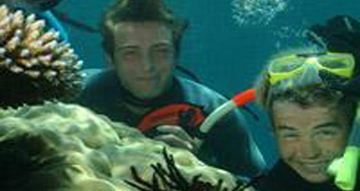 This Moreton Island Day Cruise is the best way for the you, your friends or the entire family to experience the pristine beauty of Moreton Island and watch for fascinating marine animals. Enjoy a once in a lifetime experience with a fun team of marine scientists, as they provide you with an unsurpassed whale shark experience at the Ningaloo Coast World Heritage Area in Western Australia. You will be immersed in one of the most incredible marine ecosystems on the planet accompanied by scientists expert on the world heritage values of this place.